Like other prescription sleep aids, zolpidem (Ambien) can be addictive due to its calming and euphoric effects. Zolpidem belongs to the class of drugs known as sedative-hypnotics, which help to slow brain activity in order to initiate sleep 1. The Food and Drug Administration (FDA) classifies zolpidem as a Schedule IV controlled drug, which means that although it has recognized medical use, it can also be abused and lead to the development of physiological dependence 2. When a user is dependent on zolpidem, it means that their body has become physically reliant on the sedative to function optimally. Someone who has a dependence on zolpidem may experience a range of unpleasant withdrawal symptoms upon sudden discontinuation or reduction in use. Many people take zolpidem to alleviate or avoid withdrawal symptoms, which can lead to a cycle of problematic use known as addiction. Zolpidem addiction is a chronic condition characterized by compulsive use despite knowledge of the negative consequences. Zolpidem detox treatment can help you to safely and comfortably withdraw from the sedative in a controlled and supportive environment. Once you complete a detox program, it can be beneficial to transition into a zolpidem addiction recovery program, which can help you get clean and sober and maintain that sobriety in the long run. Zolpidem is the most frequently found drug in forged prescriptions. The approximate number of zolpidem-related emergency department visits involving overmedication increased for both males and females between 2005–2006 and 2009–2010. More than 50% of zolpidem-related emergency department visits involved other substances as well. What Are the Immediate Effects of Use? Heavy menstrual bleeding in women. Pain, burning, or numbness in extremities. What Are the Risks of Long-term Use? Reduced respiratory rate and blood pressure. Legal problems, resulting from DUI or theft. 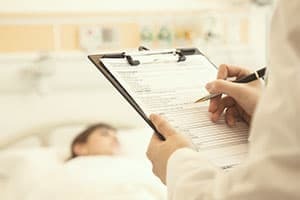 Accidents or injuries due to sedation. Interpersonal ramifications, such as divorce or loss of friendships. Occupational problems, such as increased absences or termination. Academic problems, such as failing classes or expulsion from school. Engaging in risky and/or illegal behaviors associated with drug use. Many of these consequences of chronic Ambien abuse can be prevented by seeking professional detox and substance addiction treatment. If you are addicted to zolpidem and suddenly quit or dramatically reduce your use, you may develop distressing and potentially life-threatening withdrawal symptoms. Dysphoria or state of unease. If you are trying to quit abusing zolpidem, you don’t have to detox alone. Help is available. Zolpidem is available in both extended-release and immediate release formulations. The various prescription forms include oral tablets, sublingual tablets, and a metered, oral spray 1. The detox timeline for extended-release forms of zolpidem will differ from the detox timeline for the more immediate-acting tablets. Acute withdrawal symptoms from the extended-release tablet may be delayed and not appear for a few days to a week. Symptoms may peak around the second week and subside by the third 10. Conversely, someone who abuses the immediate release forms of zolpidem may experience a quicker onset of withdrawal symptoms, within several hours to a couple days after stopping zolpidem use 8,10. In most cases, these symptoms last a few days, but this is largely dependent on the individual 10. Not everyone will experience withdrawal symptoms, nor will everyone experience the same symptoms. Whether you used other drugs in combination with zolpidem. How long you used zolpidem. Remember, however, that drug detox is only the first step on the path to recovery—it doesn’t provide you with comprehensive and thorough addiction treatment designed to facilitate long-term recovery. To achieve sobriety, it is advisable that you transition into an Ambien addiction treatment program once you complete a formal detox program. For some substances of abuse, such opioids, the withdrawal symptoms can be unpleasant but are seldom immediately dangerous—formal detox, while it may facilitate the process, is technically not necessary from a safety standpoint. Conversely, like that associated with many other sedative medications, the zolpidem withdrawal syndrome can result in life-threatening complications, such as grand mal seizures. A professional detox program can ensure your safety while you withdraw from Ambien, which is why detox is considered the best practice for quitting sedative use. It can be difficult to discern whether you or someone you know is addicted to zolpidem or not. There are many signs and symptoms that indicate that someone has developed a zolpidem addiction or sedative, hypnotic, or anxiolytic use disorder. Taking zolpidem for longer or in larger amounts than intended. Persistent zolpidem use despite efforts to stop. Spending excessive amounts of time obtaining and using zolpidem, as well as recovering from its effects. Continuing to use despite the negative social or interpersonal consequences. Giving up activities you previously enjoyed because of zolpidem use. Using zolpidem in dangerous or physically hazardous situations, such as driving. Continuing use despite psychological or physical problems caused or exacerbated by zolpidem use. Developing a tolerance, meaning that you require higher amounts or more frequent administration of the drug to achieve the same results. Experiencing withdrawal symptoms when you try to stop using. If you or someone you care about exhibits at least two of the above signs and symptoms, zolpidem detoxification services could be beneficial to help facilitate sobriety. Reduced alertness, which can affect your ability to function in day-to-day activities, such as driving or operating machinery. Increased risk of overdose, which can result in coma or death. Memory impairment and cognitive deficits. Increased risk of negative side effects, such as dizziness, confusion, nausea, fatigue, lightheadedness, depression, detachment, concentration problems, nightmares, and hallucinations. Diminished ability to maintain your relationships, career, and finances. Seeking zolpidem detox and addiction treatment can make a crucial difference in helping to minimize these and other possible long-term effects. What Does Drug Detox Look Like? You can choose to complete either an inpatient or outpatient zolpidem withdrawal treatment program. Via regular check-ins and progress updates, outpatient detox provides some medical monitoring of the withdrawal period by a physician at a doctor’s office or at an outpatient facility. After assessing your severity of dependence, your doctor may prescribe a gradual zolpidem tapering schedule to manage the discomfort of the withdrawal process and to minimize the risk of serious complications. Talk to your physician to determine whether outpatient detox is advisable for your needs. With inpatient detox, you live at a residential facility and receive around-the-clock care and monitoring. This option is ideal for zolpidem users since, in some cases, zolpidem withdrawal is associated with life-threatening symptoms. Inpatient detox is also advisable if you abuse multiple substances or have a co-occurring mental or physical health condition, as these issues can exacerbate the withdrawal process. During inpatient detox, you may be administered certain medications, such as a long-acting benzodiazepine to then itself be tapered, to help reduce cravings and withdrawal symptoms. Once you complete a detox program, you may optimize your recovery if you transition to a formal addiction treatment program. Professional treatment can help you maintain long-term sobriety and teach you the skills necessary to remain clean and sober. After completion of detox, many solidify their efforts toward long-term sobriety by continuing recovery work in a formal addiction treatment program. Without treatment, you may have a higher risk of relapse, especially if you return to your former using environment or associate with people with whom you used to abuse zolpidem with. Substance abuse treatment can help you uncover and address underlying issues that may have led to your addiction. Treatment also provides education and support to help you develop healthier coping skills that can help you stay on the path to continued sobriety. You will also learn to correct dysfunctional thought patterns, feelings, and behaviors to help you start living a healthier and happier life. There are different types of addiction treatment, but the two broad categories of programs include those offered in either an inpatient or outpatient setting. The choice of program type will ultimately depend on your specific condition and needs, and may be influenced by the recommendations of any treatment professional to evaluate your case. Individualized Treatment Plans: A therapist will conduct an intake evaluation and create a treatment plan based on your specific needs, addiction severity, as well as your mental and physical health status. Individual Therapy: This type of therapy can help you identify the reasons you developed an addiction and assist you in rectifying problematic thoughts, feelings, and behaviors. Group Counseling: This type of therapy is facilitated by a mental health professional and offers the support of other group attendees who have experienced a similar path to recovery. Relapse Prevention Classes: These classes teach you to identify, avoid, and cope with potential relapse triggers. Support Groups: Some treatment programs may integrate 12-step meetings or non-12-step alternatives, such as SMART Recovery, into their programs. Aftercare Planning: This plan outlines the ongoing treatment and support you will pursue once you complete your initial recovery program. Medical and Psychiatric Care: Medical and psychiatric care can address any underlying or co-occurring medical or psychiatric health issues. Each treatment program has its own philosophy and will likely utilize a somewhat unique set of treatment modalities and interventions. Remember to thoroughly research your recovery program in advance to ensure that it’s the right one for your needs. Amenities, such as the type of room you stay in or the available facilities and luxuries. For those unable to commit to living at a residential facility, outpatient treatment can be a useful treatment option. This form of treatment differs from inpatient treatment in that you continue to live at home while attending treatment at an outpatient facility when it works for your schedule. Furthermore, many people transition to outpatient programs as a way to continue their recovery once they have successfully completed inpatient treatment. Partial Hospitalization (PHP): With services and a level of care similar to inpatient programs, PHP, also known as day treatment, is an intense form of outpatient treatment that takes place in a hospital or medical facility. You attend treatment for up to 5 days per week for approximately 4–6 hours per day and return home in the evening. In addition to interventions like group therapy and relapse prevention courses, you may receive medication to assist your recovery. PHP is often used as a means to transition from inpatient to outpatient treatment. For optimal success, you should have a supportive home environment or you may require longer or more intensive treatment. Intensive Outpatient (IOP): In most cases, IOP requires attendance between 2–4 days per week for around 2–3 hours per day. Like PHP, you will participate in group therapy, receive training in coping skills, and attend relapse prevention courses. However, in most instances, you will not receive assistive medications. You must obtain and adhere to a medication schedule prescribed outside of the program from your physician or other treating professional. Standard Outpatient: You will attend treatment between 1–2 times per week, often for approximately 1–2 hours per day. You will mainly participate in group therapy. Standard outpatient treatment programs usually offer flexible schedules; for example, if you need to work during the day, you can generally attend treatment in the evening. U.S. National Library of Medicine. (2015). MedlinePlus, Zolpidem. United States Drug Enforcement Administration. Drug Scheduling. Victorri-Vigneau, C., Dailly, E., Veyrac, G., and Jolliet, P. (2007). Evidence of zolpidem abuse and dependence: results of the French Centre for Evaluation and Information on Pharmacodependence (CEIP) network survey. British Journal of Clinical Pharmacology, 64(2), 198-209. Victorri-Vigneau, C., Gerardin, M., Rousselet, M., Guerlais, M., Grall-Bronnec, M. and Jolliet, P. (2014). An update on zolpidem abuse and dependence. Journal of Addictive Diseases, 33(1), 15-23. Substance Abuse and Mental Health Administration. (2014). The DAWN Report: Emergency Department Visits Attributed to Overmedication That Involved the Insomnia Medication Zolpidem. Medscape. (2010). Ask the Pharmacist: How is Zolpidem Dependence Managed? Mayo Clinic. (2015). Drugs and Supplements: Zolpidem (Oromucosal Route, Sublingual Route): Precautions. U.S. Food and Drug Administration. (2008). NDA 19908 S027 FDA approved labeling 4.23.08. Gianni, J. (2000). An Approach to Drug Abuse, Intoxication and Withdrawal. American Family Physician, 61(9), 2763-2774. National Institute on Drug Abuse. (2016). Commonly Abused Drugs Charts. U.S. Food and Drug Administration. (2014). 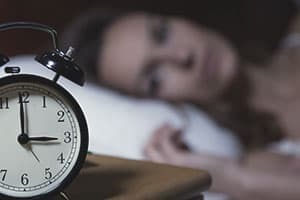 Questions and Answers: Risk of next-morning impairment after use of insomnia drugs; FDA requires lower recommended doses for certain drugs containing zolpidem (Ambien, Ambien CR, Edluar, and Zolpimist). Leung, M., Drozd, E., and Maier, J. (2009). Impacts Associated with the Medicare Psychiatric PPS: A Study of Partial Hospitalization Programs. Baltimore, M.D. : Centers for Medicare & Medicaid Services Office of Research, Development, and Information. Center for Substance Abuse Treatment. (2006). Substance Abuse: Clinical Issues in Intensive Outpatient Treatment. Rockville, M.D. : Substance Abuse and Mental Health Services Administration. Food and Drug Administration. (2008). Ambien (zolpidem tartrate) tablets. Keuroghlian, A.S., Barry, A.S., & Weiss, R.D. (2013). Circadian Dysregulation, Zolpidem Dependence, and Withdrawal Seizure in a Resident Physician Performing Shift Work. The American Journal on Addictions, 21 (6), 576-577. U.S. National Library of Medicine: DailyMed. (2014). Ambien.